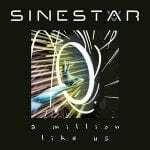 Background/Info: Brien Hindman is an artist involved with video creation (having made clips for bands such as Asche, Morgenstern, Synapscape, Monokrom, Mandelbrot) and music composition. Together with Philipp Münch he released an album under the Colony Collapse Disorder while he also collaborated with a few other artists. 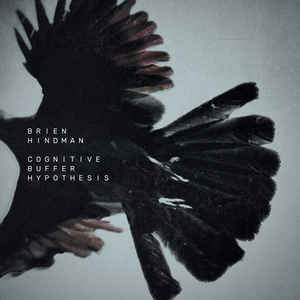 Brien Hindman has now accomplished his debut solo-work revealing 6 tracks plus one remix. Content: Brien Hindman clearly sounds inspired by different electronic ambient formats. His work is mainly cold and even icy-like while driven by slow rhythms. The tracks are slowly evolving mixing refined sound treatments and harsher industrial sounds. Both last cuts are elaborated pieces of music reflecting mysterious moods and nihilistic feelings. The ultimate cut is a remix by his old mate Philipp Münch, which also is the single track featuring ghost-like vocal parts. + + + : “Cognitive Buffer Hypothesis” is a work with a bizarre, mysterious sphere with a strong visual content. The icy sound treatments feature a vintage approach, which has been merged with cool industrial components. The slow cadence makes the tracks more accessible. The track “Heterodoxies (Parts 1-7)” is getting the listener away for a grandiose sonic voyage over the 15 minutes. – – – : The song are elaborated and reflect an intelligent sound approach, but maybe missing a total apotheosis. I’m missing a few little details to speak about a fully successful work. Conclusion: “Cognitive Buffer Hypothesis” makes me think to an imaginary sonic labyrinth where the listener will have to endure icy and mystifying atmospheres. Best songs: “Heterodoxies (Parts 1-7)”, “Trophic Cascade”, “Anthrocene”. 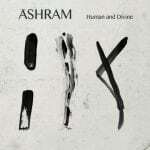 Hold the press, Ashram is back with an all new album: 'Human and Divine' !